Format: NEW 4-Game Guarantee - Pool Play to a Single Elimination. We will still have the same cutoff date for all ages, but will allow for grade exceptions (see Tournament Rules). This change will be effective immediately. Baseballs: Two new baseballs and one used per game. You will receive your baseballs back after each game. Must be NFHS certified and provide your own. Awards: 1st Place - 1 Team Plaque & 15 Individual Awards 2nd Place - 1 Team Plaque & 15 Individual Awards. Digital Rosters: Players not on your digital roster by July 2, 2019 are not eligible to play! Each team must carry a packet of birth certificates throughout tournament for any protests. 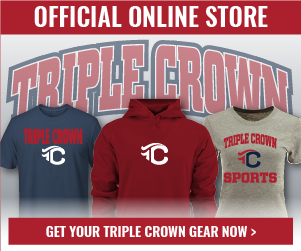 Come celebrate July 4th weekend with Triple Crown Baseball! The 2019 Tri State Regional Championship has established itself as one of the top tournaments offered in the Northeast each summer. This event attracts the top elite travel teams in New York, New Jersey and surrounding states. Pool play will begin Friday, July 5th at 8AM; with the conclusion of the tournament on Sunday, July 7th. Since 2012, this tournament has averaged close to 100 teams primarily from Connecticut, Delaware, New Jersey, New York and Pennsylvania. The event promises to draw a wide range of teams and a great geographical representation again in 2019. This tournament has sold out in several different age groups in previous years, so don't wait to enter! Pitching and base distances for the event: 15's, 16's, & 18's will play 60'-90' (Wood Bat) 13's & 14's will play 60'-90' 11's & 12's will play 50'-70' 9's & 10's will play 46'-65' (We play real baseball for the 9s and 10s. Steals, leadoffs, etc.) The Tri-State Regional Championship is open to all teams; there are no sanctioning fees to play with Triple Crown. Age divisions will include teams of all levels.